cuses on sharing practical guidance for a new way of life. This guidance is combined with fun activities and spiritual growth. New participants are able to see the change in others that have gone through similar situations just as they have experienced. In the Youth Power Group, you will see how many go from being tired of everything and everyone, to finding happiness and peace. th Power Group (YPG) go to different places to bring a positive message to those who hear negative words every day. The YPG go out with the motivation to help those who are suffering. Many youths have benefited from the YPG by taking the opportunity to join and experience amazing changes. Would you like to learn more about the Youth Power Group? Join us every Sunday at 12:30pm at The Universal Church closest to you. Anyone between the ages of 14-24 is welcome! Nothing compares to the joy and peace one has when receiving Salvation. This new-found strength drives the person to reach out to others. It is a passion that God Himself placed inside of that person’s heart. This person cannot imagine one day passing by without taking the word of salvation, healing, and transformation to those who are suffering. In this faith, the Soul Winner Group came about – formed by people who have a true and sincere relationship with God and who put all their strength into saving souls. Soul Winners do not limit themselves to place and circumstance; their mission speaks louder than anything, and they will face cold, snow, deserts, distance, and any obstacle in order to tell others about Jesus and to show them the way for a complete life transformation. A Soul Winner does not see nationality, the color of the skin, or the difference in lifestyle; they see everyone as a precious soul that needs God’s help and guidance. The group functions not only in the USA but also in more than 100 countries, reaching out to people from various nationalities and backgrounds. Soul Winners have active social projects in hundreds of communities throughout the world, taking not only the food and clothing but above all, the spiritual help those who are in distress need. Soul Winners go to street corners, visit homes in distant places where the church has not a location yet, they call and follow up with those that write their names in the prayerbook, and they pray for the community without giving up. Soul Winners give so much of their time and effort into reaching out to others, but they also receive much spiritual support and guidance from the pastors that care for the group. They have weekly meetings and one-on-one spiritual support, helping each other in the journey for taking God’s Kingdom to all the peoples of the world. If you have the desire to do more for God, to grow spiritually and reach out to others, then speak with the pastor at The Universal Church near you for more information on how to join the Soul Winners Group. 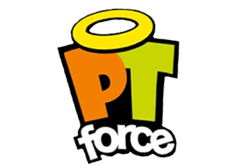 The PT Force Group (Pre-Teen Force Group) is a group that brings together teenagers, ages 10 to 13. The group is also present in other countries, such as Portugal, England, Paraguay, and Argentina, always with the purpose of forming, raising awareness supporting adolescents and mainly to build the character of God in them. All activities and games are created based on the Word of God in a simple way so the teenagers can understand and apply to their lives when facing bullying in school, problems at home or any other situation. Members practice sing, dance, play theatrical plays, study the Bible, develop social actions, and other tasks. In the PT Force, the teens learn how to practice the intelligent faith. For more information visit any of our locations and ask about our PT-force group. Our Aim is to bring Christian education for children in a dynamic and attractive way, as well as to support and give guidance to parents and guardians on how to educate their children in the ways of God. Contrary to what many people think, the CBC is much more than a place where children and pre-teens stay while parents are attending the services. We aim to train a generation aware of their values, responsibilities and empower children to exercise their role as Christians in society fulfilling God’s purpose, expanding His Kingdom through Christian education. We also work in partnership with parents, promoting their children’s education in a spiritual way. 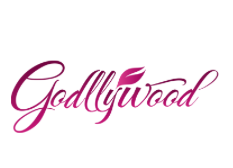 Godllywood was born from a righteous anger toward the negative values which our society has acquired from Hollywood. Through this work, our main objective is to help women become exemplary and turn their backs on negative influences and Hollywood’s imposition. Members learn to develop family ties which have been lost in recent years. What was Godllywood created for? The group was created for those who want to be a different kind of daughter, businesswoman, single lady, girlfriend, fiance, mother, niece, friend, cousin… The kind of woman who makes the difference: at home, at work, in her behavior, in her spiritual life, and in her character and appearance. The Universal Church formed the Caleb Group for that point in our lives when the entire world might judge and think that opportunities are over and that time is up for us, that there is not much we can offer physically. Its goal is to prove to us that God wants to and will use us and make us live even better days. The group provides an excellent opportunity to make new friends who are just like family, who encourage your faith and push you to live life to the fullest. The group’s name was inspired from Caleb from the Bible, a man who at the age of 85 did not back down and was used by God in the same strength than when he was younger. A strong spirit and mind strengthen the body, and the power of faith can make you reach your dreams regardless of your age. 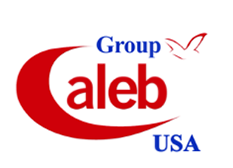 Calebs (how group members are called) are strong in spirit. They are moved by faith; they encourage each other and also help others with their life experiences. Calebs have much to give and are not backing down from the opportunity to do so. Group members are 50 years old or better. The group counts with the help of faithful volunteers, who understand the importance of this stage in life. The group has monthly activities such as outings, festivals, picnics, arts and crafts, health and fitness workshops, and much more. Calebs receive emotional support from the group volunteers, who take into consideration the love, friendship, and support Calebs need. Caleb Group volunteers and members also reach out to the community through social projects.Dear reader, if you have been feeling down and unappreciated, if depression began to sink in, lift up your head because God loves and believes in you and He will help you. The Caleb Group has its arms open wide to receive you because you are a valuable treasure for God. Calebs are overcomers, and you are free to join us and learn to overcome as well. Dear reader, if you have been feeling down and unappreciated, if depression began to sink in, lift up your head because God loves and believes in you and He will help you. The Caleb Group has its arms open wide to receive you because you are a valuable treasure for God. Calebs are overcomers, and you are free to join them and learn to overcome as well. Contact us or visit The Universal Church near you for more information about upcoming events sponsored by the Caleb Group or for counseling and prayer. The Mothers in Prayer group is for all mothers who want to learn how to grow as a parent and learn how to bring out the best in their children. In this group, you will receive great tools that you can put action and prayer into practice. Not only will you grow as a mother, but as a daughter and a woman as well. No one is perfect and many problems arise out of nowhere, but learning how to deal with them is key. Learn how to know your kids better and restore your bond with them if needed. *If you would like to take part of The Mothers in prayer project, feel free to contact us or visit The Universal Church nearest you for more information.